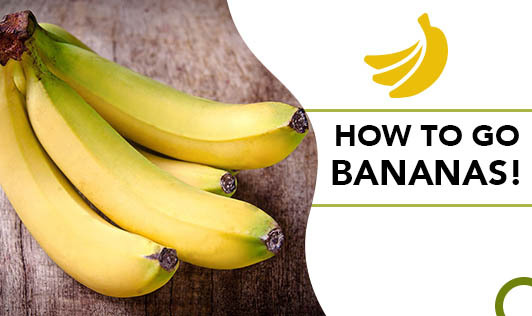 Banana, being an economical fruit is energy and nutrient dense. This tasty fruit stands out as one of the healthy snacks. Try this fruit in the form of these simple recipes. • In a bowl, mash the banana. • Add the whole cracked egg and egg whites into the mashed banana. • Stir well till the mixture becomes homogenised. • Pour 1 puddle of batter on to the greased frying pan. • Delicately flip the pan cake and cook till it turns light brown. • This recipe makes 3-4 small pancakes. • Pre heat the oven to 350 degrees Celcius. • Mash the banana in a large bowl. Add the milk powder and rolled oats. Mix well. Add more rolled oats if the mixture is still runny. • Take a small quantity of the mixture and mould it into your desired shape. • Bake for 15 -20 minutes or till it is done. • Blend everything in a bowl until it is mixed thoroughly. • Grease 2 deep coffee mugs and transfer the mixture into the mugs. • Set the microwave power level to the max and cook for 2 minutes. You can see the soufflé puff up after it cooks. • Let it cool. Enjoy the taste of it!